So as we say goodbye to the "Old" and we welcome in the "New" there is a changing of the guard if you will. What do we know about the mystical magical number 3 is this.......The power of three is Universal and encompasses the Beginning the Middle and the End.....On a human level is equals the Body, Mind, Soul....In the Natural World, it encompasses Heaven, Earth, Waters.....Religious interpretation is the Father, the Son and the Holy Spirit. I do believe that in this 3 year more things will make sense even if it gets off to a bit of a rocky start. The "2" is still letting go so be patient here. I do feel that this year things will level out and misunderstandings between people will have the opportunity to be healed. This bodes well for family and friends who have severed ties do to the nature of politics and beliefs. This is where the Age of Aquarius offers a place of understanding for those who are open. Nations I do believe will come together and find common ground in some form or fashion on certain issues. I feel the Aquarian Energy will lend a hand here as some Piscean thymes fade away. 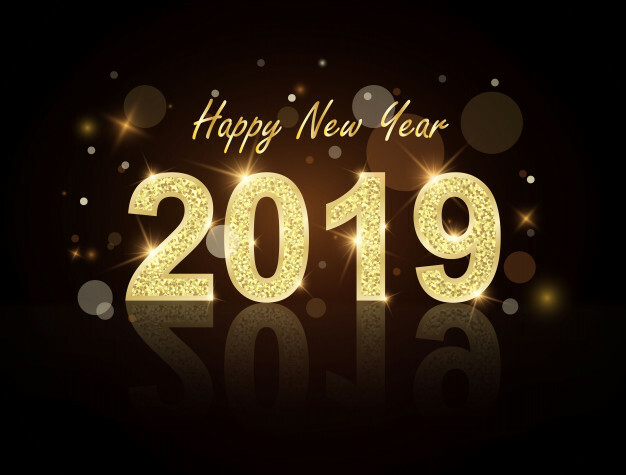 In the end, it will be the Powerful that will struggle the most in this new year and new energy as they watch the Power they once harnessed slip away from them. It will be this group of people who will be left scratching their own heads in disbelief. This is where they will become the rabble-rousers in this 3 year and who will continue to stoke the flames of discontent. Their intention is to strike fear in the hearts of the "Emotional Center" of the human beings who will listen. Not to worry the energy will not sustain a lie for too long and the groups of people will begin to awaken in small doses and lessen in size and strength. The 3 lends its energy to the new groups that will be formed yet these new groups will harness different energy and that energy will encompass Universal Law and Truth!!!! As we say goodbye to the 2 year which encompassed relationships with self and others the selfish energy of me will be collected and gathered as it dissipates and finds a way to be rectified. This is a great year to make peace with any issues you may be harboring of your own and extend the olive branch of understanding. This is where each person who partakes is allowed to eat of its fruit. 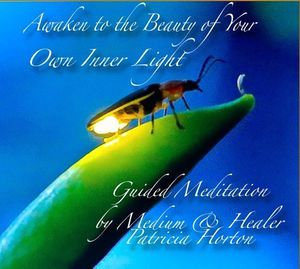 This morning as I got out of bed and began to take in the energy of the day I could feel a sense of restlessness. A bit of unease coupled with an excitement, the overall theme of anticipation as a country waits for the returns to roll in. I believe this is America's energy today as the people across this great country prepare to vote. I can feel the anxiousness of a nation vying for position and the elite jocking for power. I can feel the energy of the unspoken word that is like an electric coil plugged in and ready to energize. As we each do our civic duty and move into the voting booth today know that all things will play out in a way for a Nation to grow, heal and move more fully into this Age of Aquarius. The old paradigms on full display hoping for that hail mary pass into the end zone. The new quarterback on the field is unpredictable and will give the old guard a run for its money. In the end, the old playbook no longer applies as new minds and new energy are destined for greatness within a country full of people who are filled with differing points of view. 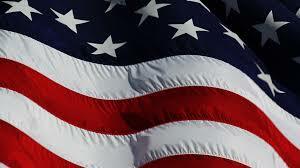 Yes, change is upon this great nation of people as America moves more fully into her rightful place. She is patiently waiting for her people to find their own footing upon the new soil that they each find themselves standing upon today. What are we fighting for and is it the truth as we know it??? Or have we each been propped up by the political elite who asks that our hands become dirty just for a win to maintain the old guard??? Or have we been awoken and delivered to the point of no return and see things through a new set of lens???? Change is never easy and when a whole country experiences change together it becomes even more apparent and powerful all at the same time. This is where we each will see how we choose to repel or embrace what has been delivered to our doorstep at the end of this day. Does a political point of view change your own opinion of a person that you know so well? Does it make you turn tail and run away from them, argue with them, or maybe even call them names? Does the environment created by the political elite taint your own good judgment? Even though these are very ego perspective thoughts it does affect us on a spiritual level as well. Spiritually we try not to judge another human being or be unkind towards them but it seems with politics all of our spiritual inclinations are tossed to the wayside. It seems that we as a community are willing to eat our own if they do not fall in line with our own way of thinking. This is so far south from where our spiritual nature resides that it feels as if we will never be able to find that center point again. You may be asking yourself why are the tensions so high between a Country that seems to be divided? Why can't we all just get along and like every other election accept it for what it is.....Politics!!!! Well, we have been birthed into a new era which began in 2012. The old guard still unaware or should I say numbed out to the changes at hand. They were unaware that the Aquarian Age was now fully in charge. Nobody really noticed because the old era was in full swing during a time when an establishment was empowered by the Piscean Age. They were not capable of realizing that its reign had come to an end or they were just living in denial. Afterall the party life felt good and the power over the people felt even better. The greed that was created in the hearts of the powerful was not going to be relinquished without a fight. A ton of movements by the old guard had been established as a way to keep an era alive way past its sell-by date. As everyone can see, the old is trying to hold on tight and is not willing to let go of years and years of power. This power is stoked by a sense of entitlement along with greediness and now finds itself hardpressed to give it all up. You see all things change and we are alive to witness the magnificence of a new era called the Age of Aquarius, take its rightful place on the throne. 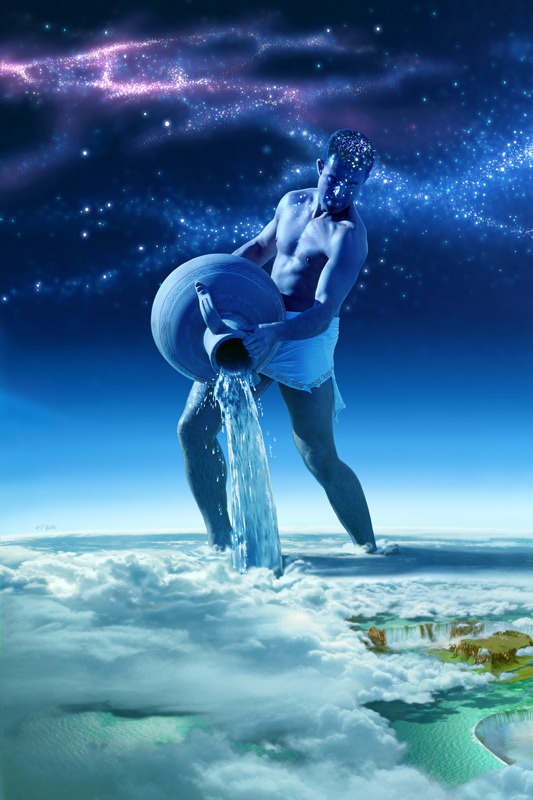 The Piscean Age was masculine but too much male energy is never a good thing as we all can see. It became the age of the good ole boys club and with all clubs, they need to learn how to roll with the changes. I am here to tell you that this too shall pass but you must find your patience with all of it. The only way the new era can take hold is by making a ruckus and that is what is happening now. I can tell you that in 3 years time things will make more sense. We are already into this 3-year time frame and are at the halfway point. Why do you think it is that our Political Bastions of Congress and the Senate care more for the Illegals who are trying to enter this country then the American Born and Naturalized Citizens that are already here????? Because our votes cannot be bought any longer and the lies that they have been spoon feeding us for years are not working anymore!!!! You see it will be off of the backs of these poor people which they intend to use to retain their rightful place at the throne. They will use them as a means to an end and as a way to prop up their political power. It is their last straw of hope, the uniformed people become the lambs lead into the slaughter and as a way to retain what no longer serves the greater good of all. Greed is an ugly tool used by the warmongers and in essence America is at war within itself. I know this may be hard for some of you to read or maybe even understand as there are those who like to float in the pond scum of your parties rhetoric. I too have an ideal that I am drawn to so I want you to know that this is not a post that is meant to insult anyone. It is a post about what is happening universally with a bit of humanness thrown in. It was a very long ago and was predicted that the 2 party system would be broken apart and there would be a One World Order. Those are scary words and for a long time, I did not understand it until now as the curtain has been peeled back and we are allowed to see the many Wizards of Oz pulling the levers of deceit. Well, I do believe this is where the wacko leftists and the radical right-wingers were born as they try to commandeer a nation of people into a false sense of being. I feel they tried to capitalize on a theory or prediction and as they waved their magic wand, used their talking points to twist the principles of logic and spoon fed us their lies, this is where a nation was divided into 3 parts. One part likes to swing to the left, the second part likes to swing to the right but both parts forgot that it had to swing too and fro in order for a balance to occur. You see they were to busy fight for position and due to their own greediness a nation was thrown into disarray. Now the third faction here is the silent majority who just gave up as they watched their America crumble at the hands of these power hungry greedy politicians and lobbyist. Corporate America was born which is not a bad thing but it is the favors that their money could buy which becomes the fuel that stokes the fire for power. All of these factors shake what has been for too long an unstable foundation and due to the structural flaws, the buildings will eventually fail. The foundation will no longer be able to sustain the structure and it will begin collapsing due to lack of support, which we are seeing now. The old has gotten greedy and rotten to the core and as they become the big fat cats on the hill we become in essence the slaves that have been building a faulty structure for far too long. Our money is what props up the building and once they got a taste of what our money could buy they wanted more and more of it. I do believe that what we are seeing now is the true destruction of the two-party system so that is can be restructured in this new era. It is through this energy where a "New World Order" is born of but with the birth of anything something old needs to die off. It is through death where humanity/people are impacted on a grand scale as death stokes the flames of emotions in each one of us. Think about it, when we lose a pet or a loved one to death our emotions take over and we grieve. 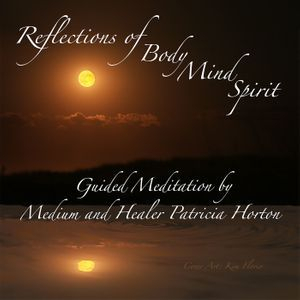 From my earliest memory, I was imbued with the notion of God and the strong connection that I had with what some call Source. To this day, God has been a major influence in my life and it is by his hand that I am lead. I was after all raised by an Italian Catholic Mother and this is where my connection to God became solidified. My mom was one who always had a rosary not far from reach and she taught me how to believe in the power of prayer. I learned from an early age how to live by the commandments and always reflected upon what was a sin and what was not. As a young girl, I tried ever so hard to abide by the rules and confessed when I thought that sin would cast me to hell. Oh, life through the eyes of a child is so different than through those of an adult. It was at the age of eight where my life took a turn and revealed to me something that was not spoken about in church or in the home that I was raised in. I was told there were no such things as ghosts and the dead lived in heaven. Not realizing just yet that my spirituality already had a solid foundation to stand upon my life was about to change in a very profound way. 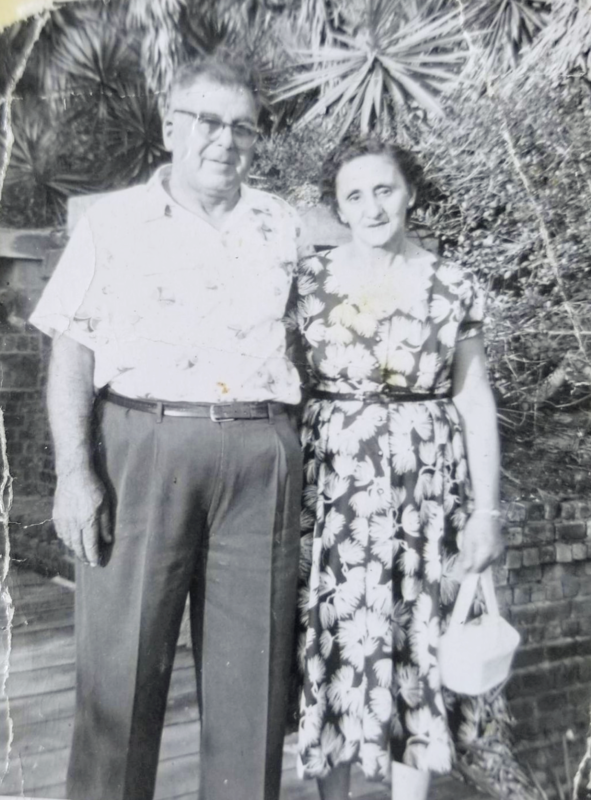 My mom’s mothers name was Louis Pulio and she passed away when I was about two in half years old in 1967. I was born in 1964 and I never really knew her but as I have learned along the way those in the spirit world sure do know us. It was a typical day at our house and bedtime came quickly, I shared a room with my sister Tina and I was not a fan of the dark. It was on a warm summers evening in August when my grandmother stopped by for a visit and appeared in my bedroom in the strangest way. I was a sound sleeper according to my mom yet on this one evening I was awakened by a blue electric light that filled the room. As I looked around I could see clearly through an Indigo colored light, and every tangible thing in my room was crystal clear. It was what I saw in the next moment that took my breath away as my eyes locked on what looked like a Dracula coffin. It was plain and not like any coffin that you would see in any funeral home today. The outside edges were lit with a very bright white light, the rest of the coffin was the color of the electric Indigo light that lit up my bedroom. As I gazed upon the coffin the lid slid opened, and I could see someone was inside of it. As this person sat up I recognized it to be my mom’s mother, a person I never really knew as I was very young when she passed away. This grandmother smiled softly at me and as I sat straight up in my bed, she did the same in her coffin. This is where she stretched her arms out to me and what happened next is as vivid today as it was the day she appeared in my bedroom. My Grandmother Pulio opened her arms and stretched them out towards me. I sat, frozen in time, and this is where seven white crosses came from her heart and flew directly into my own. I could feel each one as they impressed themselves upon me. It happened quickly but it seemed like it happened in slow motion. I could feel each cross go into my body one by one but at the speed of light. It was in this moment and after the fact that I thought I was going to die and that she was going to take me away. I thought I was going to burn in hell for some sinful thing I must have done when I screamed out in fear. Mind you my sister never woke up during this whole experience which to this day I still don’t understand. Next thing I knew I had hustled it out of my bedroom and into my mother’s room. She told me it was just a dream and to go back to bed. I thought, go back to bed in that room, no way!!!! We never spoke about this so-called dream again, yet it was in that moment that I knew this wasn’t a dream at all and that there was something very different about me. What happened that night was scary for me then but today I see the gift in the visitation on that warm August night. "What is in play via communications with other nations can see some forward movement as allies join forces and in support of one another." 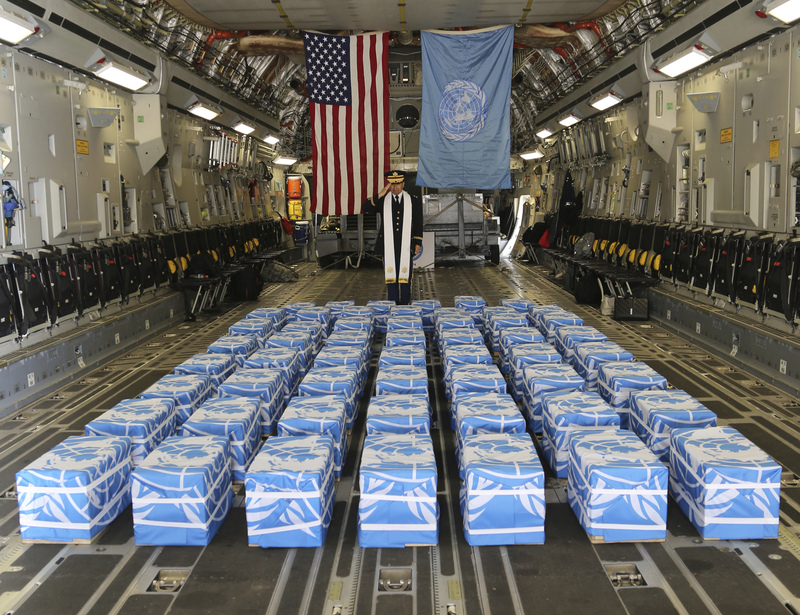 Well on July 27th North Korea released the remains of Korean War Veterans and returned 55 small coffins to the United States Government. This happened to fall on the 65th anniversary of the armistice that ended combat on July 27th, 1953. This is reflective of War between Nations and in the end we have been at War with North Korea for 65 plus years. This truly is remarkable and what looks to be forward movement between nations who have had years of hostile relations with one another. This shows each of us the power of what is put into motion before Mercury goes retrograde can find a solution in any situation. This teaches us how we can benefit on a personal level as well from the full support of the retrograde cycle during this time. You see Mercury goes in reverse to revisit old stale and stagnant situations. This happened on a grand scale and as I wrote, World Wide Governments were the theme of this retrograde cycle. I also referenced the old Piscean Age dissolving as the Age of Aquarius takes hold. North Korea is a good example of this type of energy and in the end, a peaceful resolution was achieved. The Korean War and all of the residual feelings that were empowered by Piscean energy have shifted. This is where the release of control or trying to control things have begun to be relinquished. In Heaven, there are no hours of visitation to limit the time you choose to visit with your family and friends. 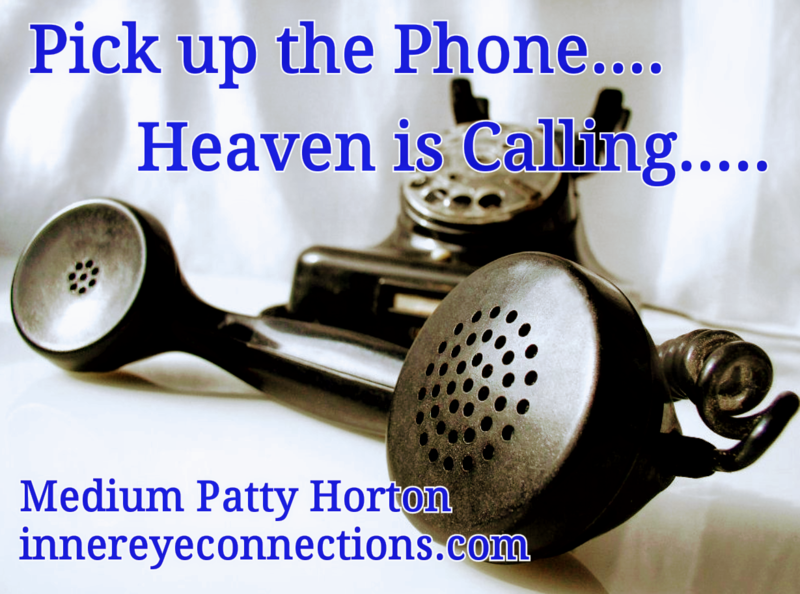 The cool thing about a visitation in Heaven is that the doorway is opened through the heart center and our people in Heaven know exactly what to do when they place that phone call home. It may not feel the same as that human touch but the feeling of love between you is undeniable. It may not be the same as that human voice but the communication is crystal clear. If you can find a peace in that then you can celebrate the moments of your loved ones who have already made their presence known. It doesn't surprise me at all what is happening World Wide and in the News today and even yesterday as things seem to be ramping up the rhetoric. We see things for example in Government here in America full of salacious details and the whose and the what's are front and center. The players are all dressed in their best attire and are all set for a very busy 3 weeks ahead. It doesn't matter what political side you are on as both sides of the political aisle will walk away with a black eye when all is said and done. I caution everyone to tone it down as no one will win an argument at this time no matter how passionate you feel about one side or the other. Look for the rouge groups here in America and World Wide make some noise during this time. Why are things so volatile now even more so than before??? You can contribute this to Mercury going retrograde beginning on July 26th and The Full Blood Moon on July 27th!!! We have two powerhouses joining forces to peel back the curtain and where the truth is revealed. We will have a rocky ride as Leo holds court with Mercury and Mars holds court with the Moon. In Leo-Mercury Retrograde, we have a power struggle as people jockey for political position/power yet it just may backfire before it moves them in any forward direction. Leo is, after all, a fire sign so be careful during this time or you just might get burned. Leo is the sign of the Leader and is ruled by the Sun which in turn amps things up when the Moon and the Sun cross paths. Leo represents the Ego or the Higherself/Purpose so look for Leo's influence to be lopsided at this time. For those Leo's use this time as a reference point and watch what unfolds before you. Also what is in play via communications with other nations can see some forward movement as allies join forces and in support of one another. Mars is the planet of War so during the next few days we might see an amping up of rhetoric here. With the Moon-Mars powerhouse, we will see emotions running high with anger and frustration leading the parade. We are already feeling the influence as the Full Moon Effect is felt 3 days prior to Luna's big show and 3 days afterward so take a breath during this 7-day run. This could lead to reckless actions and Mercury will be sure to reveal what is truth and what is fodder. Remember this, you can't unring a bell so what rings out during this time be it truth or a lie it will be set in stone. The stone may try to be broken apart and it will in a sense but the truth, in the end, will prevail no matter how hard one side or the other tries to flip the script. Spiritually the color "Red" is symbolic of life force energy and it is the color in which we harness our greatness. Red is the color that embodies the ego of man and in it's rawest form the ego grows. Red is the color that propels every man to realize his purpose and in his honor the ego sows. The poppy was chosen as the symbolic flower to honor those who fought and died in service to our Country. It could grow and survive in the harshest of conditions and becomes symbolic of the heart of each soldier's sacrifice. The poppy reminds us of the resilience of each soldier who fought and died for our freedoms. The red becomes the reflection and the remembrance of those lives lost and in honor of them, the poppy is shared. Today I am enjoying this early morning burst of energy and I can feel a shift happening in the cosmos. It feels to me as if we are in the flow of abundance. What this means for me is let's get moving, make things happen, today is the day where doors that may have been closed are now open, do not take no for an answer, be creative in your actions. So if you are feeling it I encourage you to go for it!!!! If you have been sitting on your hands over a project, a new idea, a change in any area of your life today is a day to take deliberate action. In the end, life is what we each make of it and with the energy behind us in a powerful way, it only means that all things are possible today!!! !